Posted on Aug 7, 2015 by Appleton Downtown Inc. Tomatoes: Well these were Wowie Big Tomatoes (not an official name – just my personal description). Just one tomato was bigger than my palm – very firm, with shiny skins. Eating them fresh was luscious! They had this nice sweet flavor with a meaty texture. 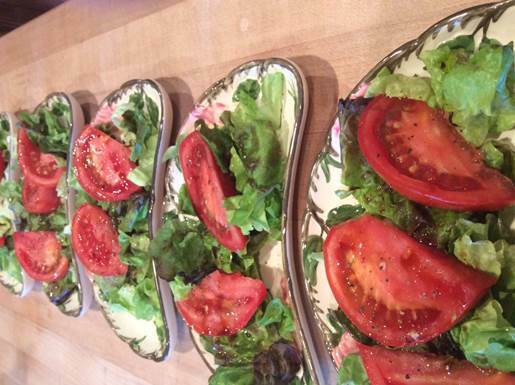 This is the type of tomato you want in a bacon-lettuce-tomato sandwich – or one big slice on top of a burger! 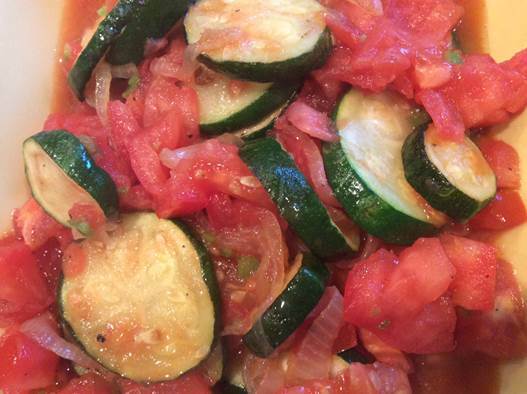 You will also see below – I used them in a nice zucchini-onion-tomato stir-fry. 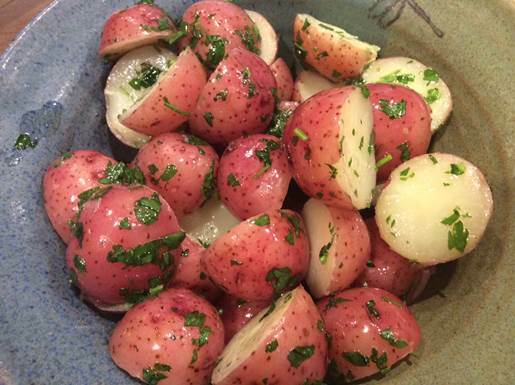 The Red potatoes were wonderful – I am now convinced a potato is not a potato – because these were more awesome than the rest (sorry for the poor grammar)! They were nice small reds with thin dark skins. The white of the potato was nice and crisp. After I boiled them for a few, short minutes – they became this nice creamy snappy combination. Of course, the fresh parsley and melted butter was the perfect simple topping to enhance all these flavors together. I’m definitely getting more of these next week! I used all three of these in a sautéed vegetable dish. I seeded the tomatoes – which left me firm, meaty diced pieces. The onions were nice and solid – not a bitter flavor at all - in fact, very mild, sweet and very pleasant, they really brought the zucchini and tomato flavors together. The zucchini had this deep dark green skin with a solid texture. This was all sautee’d in coconut oil with only salt and pepper as my seasoning. The overall taste of this combo was such a fresh farm taste! I must say these peaches really gave me the WOW factor. I got them VERY firm – but senior Wiesner (David) said to give them 2 days and they will be best! Well, since I was grilling them – I only waited 1 day – and they were perfectly firm and fresh enough to make you NOT want to share and keep it all to yourself! 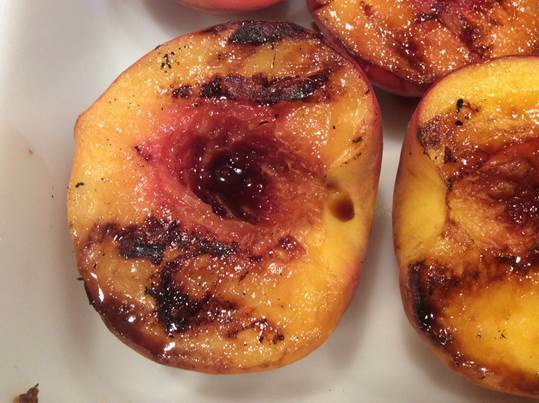 See the grill marks – only 2 mins of grilling – then drizzle balsamic (and I mean drizzle – little)……The sweetness comes alive in grilled fruit – and these peaches get a gold medal! 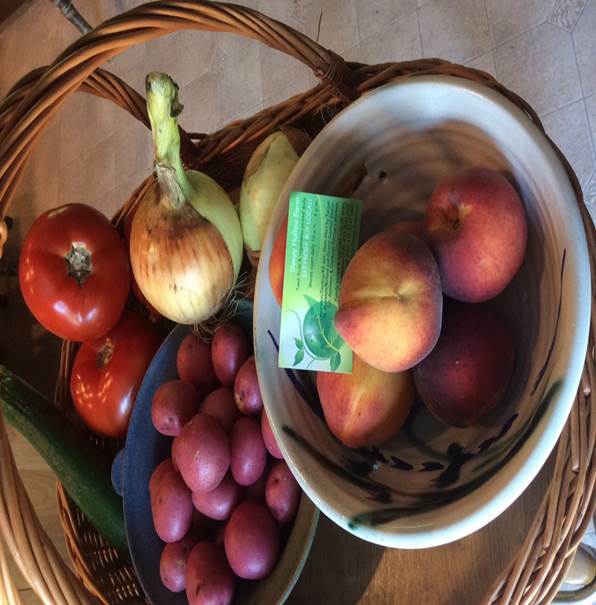 THANK YOU Sleep Hollow Farms - your produce not only speaks volumes at the market – but once on the table – it brings the your story home. That’s what Farm-To-The-Table looks like to me! Sleepy Hollow Farms is located in the block between Durkee & Drew St.